Kent Island Beach Cleanups is now in its 6th year of existence and we are growing every year. We are very excited to announce that KIBCU is holding its first ever Rock Benefit Show at Red Eye’s Dock Bar on Saturday, June 23rd. The event will feature “Straws upon Request” and reusable cups. We are asking for your help to make this benefit show a success. We would appreciate your support by either attending this event, becoming a sponsor or a donation of auction items. All proceeds from this event will go towards purchasing much needed equipment for our growing cleanups, educational awareness and helping us continue our mission. 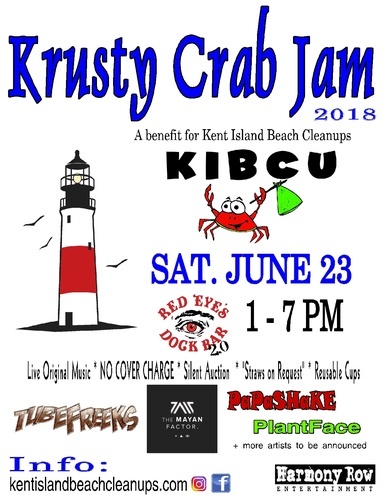 Please help support this event and help us protect the beaches, parks, and estuaries of Kent Island.